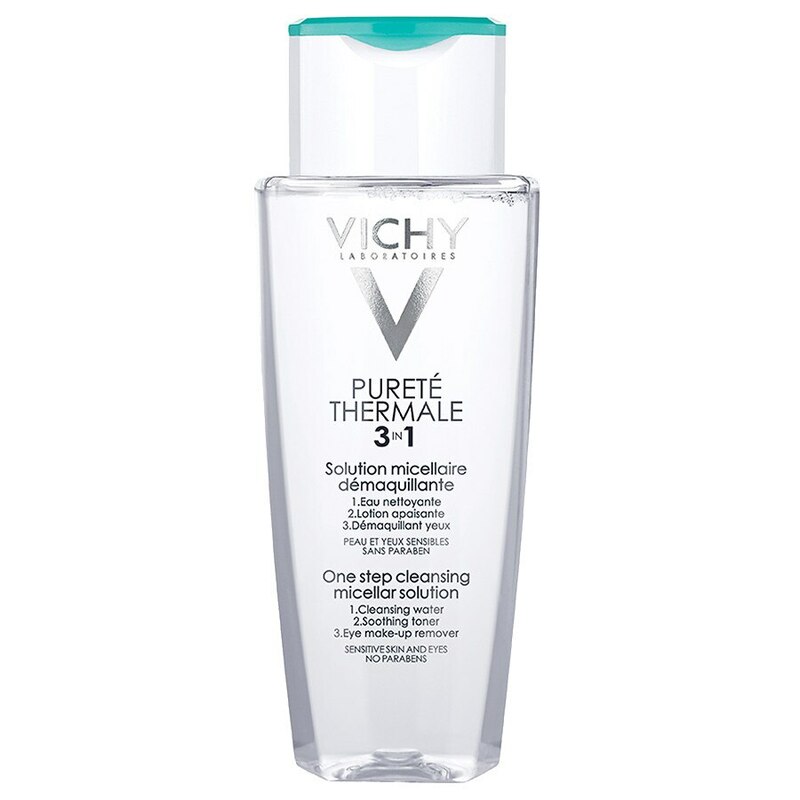 Vichy Purete Thermale Face Cleanser with Micellar Water and Makeup Remover is a quick and practical facial cleanser for even the most sensitive skin. Suitable for contact lens wearers. Micellar water cleanses skin, removes makeup and soothes in one simple step. No rubbing or rinsing required. Enriched with hydrating Pro-Vitamin B5, this formula leaves the sensitive eye area soft and soothed and Vichy Thermal Spa Water to help hydrate the skin. Vichy’s micellar cleansing water micellar technology gently and effectively remove impurities. Micellar water leaves skin feeling hydrated and soothed. Founded in France in 1931, Vichy’s formulas combine clinically-proven ingredients with mineral-rich volcanic water to deliver real results to women of all ages. Today, Vichy is the #1 Anti-Aging Brand in European pharmacies. Apply facial cleanser with a cotton pad over face and eye area.